I wanted to know more about some Biron of Kurland descendants. In my country, Serbia, there is a guy whose name is Konstantin von Biron, with the title of Baron, as he says. He has a brother, whose name is Ladislav von Biron. They claim that they have descended from the brother of Duke Ernst Johann Biron von Kurland(1690-1772). He had two brothers, but in genealogy, I could not find their descendants. In his story, given to the newspapers, his great-grandfather came to Belgrade from Kiev in Ukraine after the revolution. He also says that his family belongs to the 6th book of nobility in Russia(I am not familiar with Russian nobility books), where it is stated that they have the right to hereditary title and coat of arms. His connection was confirmed by mr. Dragomir Acovic, member of the Crown Council of Serbia and President of the Serbian Society for Heraldry, so I assume the story is not fake. I just wanted to ask if anyone would have any insight to the genealogy of this baronial line of the Biron family who lived in Russia or access to this 6th book of Russian nobility where they say their name is written. The only thing I found in it was a mention of a lesser noble family "Biren", but the family was not of high enough nobility to list the family lineage. I know the genealogy of Biron von Kurland family, but couldn't find anything about other "branch", as they claim to be. It would probably be this "Biren" family, as this guy doesn't claim that his family has ducal title, nor that he descended from the Dukes of Kurland, but that of a Baron and that they are collateral branch of the family, which was somehow related to them. Their family name is just Biron, or von Biron. Isn't it a strange coïncidence that the Russian Wikipedia lists a certain Hegumen Alexey, Chief of the Russian Ecclesiastical Mission of the ROCOR in Jerusalem (1997–2000) (see link) as born in Belgrad in 1957 as "Андрей ван Бирон" (Andrey van Buren? ), to a Russian father and a Hungarian mother? The arms listed for him on the page is certainly a variety of the von Bühren arms which feature in the Biron of Courland arms, but remember that "van Buren" is a rather common Dutch surname, in addition to the name of an extinct Dutch noble family, which produced Willem the Silent's wife Countess Anna van Buren. A bourgeois Van Buren was US President Martin Van Buren. I've never heard of nor seen "Nobility Books". Compilation of noble genealogical books. Marshalls of the nobility of each uyezd carried out the compilation of genealogical books. All hereditary nobles had equal rights, regardless of the difference in titles and antiquity of the genus. Only hereditary nobles were entered into the genealogical books; personal nobles were not entered into them. Russian noble families were thus recorded in "nobility books" in the governorates where their main estates were located. These records were important, as they were the census for participation in the provincial assemblies of the nobility, an aristocratic form of local government. But I can't see how there could be a 6th book of this type, as they were geographical. 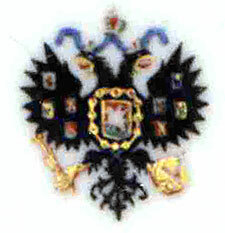 All noble, armorial families were also listed in the General Armorial of the Noble Families of the Russian Empire (see https://gerbovnik.ru/), which had different sections and volumes, but essentially was one huge comilation. I can't find the Birons at all there. Remember that the von Bührens / Birons were not Russian nobility per se, and neither part of the original Ritterschaft, the German knightly estate, of Courland, but had been ennobled by a King of Poland. Though I would presume they would be listed in different Russian provincial nobility books if they had estates in those governorates. The von Bührens / von Birons would fit into sections 4 and 5 too, as far as I can see, but of course it was most prestigeous to be placed in section 6. Apparantly there is a lot of them around, as the volumes for each governorate were published and printed: See examples here. It is very possible that there is some link between them and that these are same Birons as the others in Belgrade. They said that the have come from Ukraine to the Yugoslavia, after the revolution. They also say that they are connected with the Kurland branch through the brother of the first Duke and that they represent some collateral branch of the same family. They said that certificate was listed in one of the Russian nobility books.